I hope you are all enjoying your weekend. I for one, am trying to soak up the last moments of Winter Break before the semester begins tomorrow. 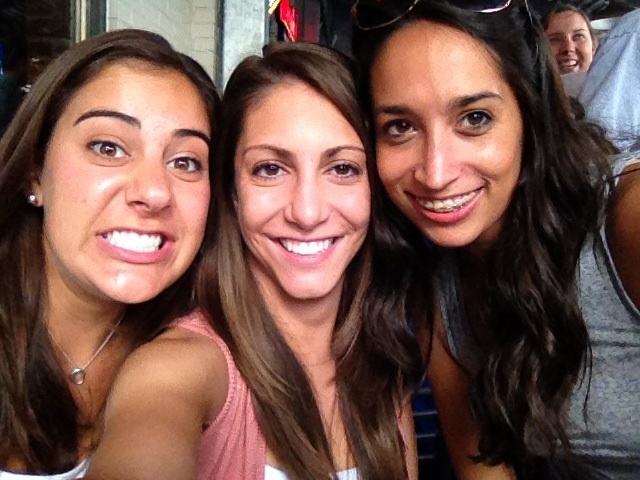 These last three weeks have been a much-needed break from the throws of graduate school. I’ve spent these weeks relaxing on the couch, hanging with the family, catching up with old friends, reading (for fun! 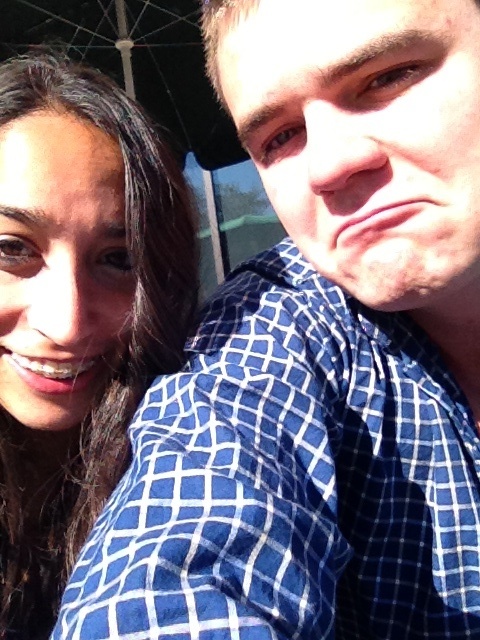 ), and visiting my boyfriend in California! Now that these three weeks are over, it is time to start prepping for the busy week ahead. After driving four hours back to Cincinnati yesterday, I decided that I should hit up the grocery store for essentials since my cabinets were completely empty. Since I’m participating in Tone It Up’s #loveyourbodychallenge I wanted to stock up on lean, clean, and green items! If you want to participate in this challenge, head on over to Tone It Up and sign up. It is full of inspiration, great workouts, and prizes! If you’re interested in what kind of goods I bought from the grocery store, check out my Grocery Haul video! When grocery shopping was said and done, it was about 8:30, but that didn’t stop me from whipping up a yummy dinner! 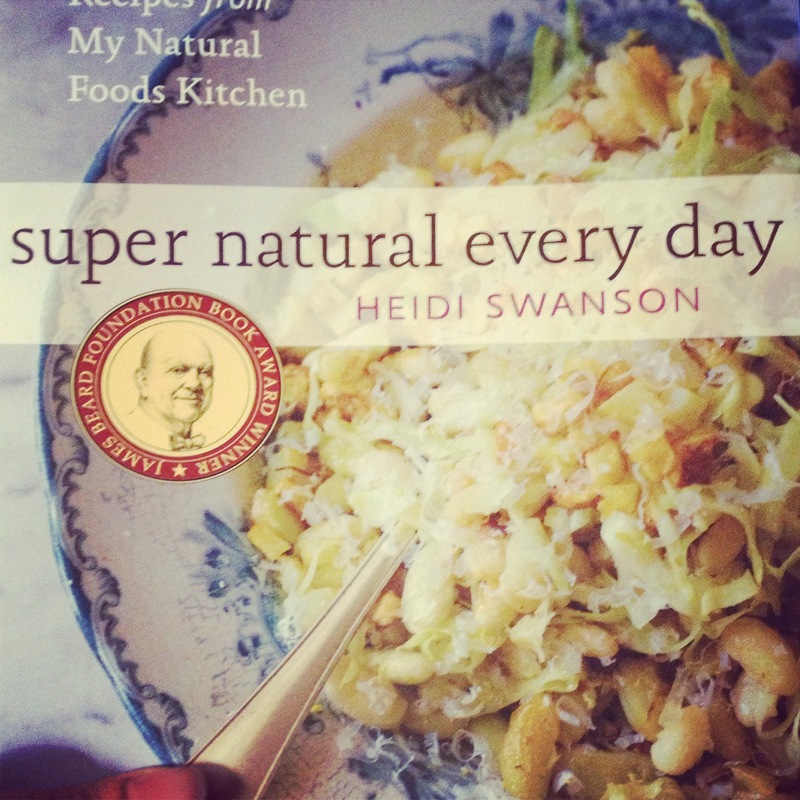 I opened up my new favorite cook book, “Super Natural Everyday” by Heidi Swanson. I love this cookbook. It is full of amazing vegetarian & vegan recipes. 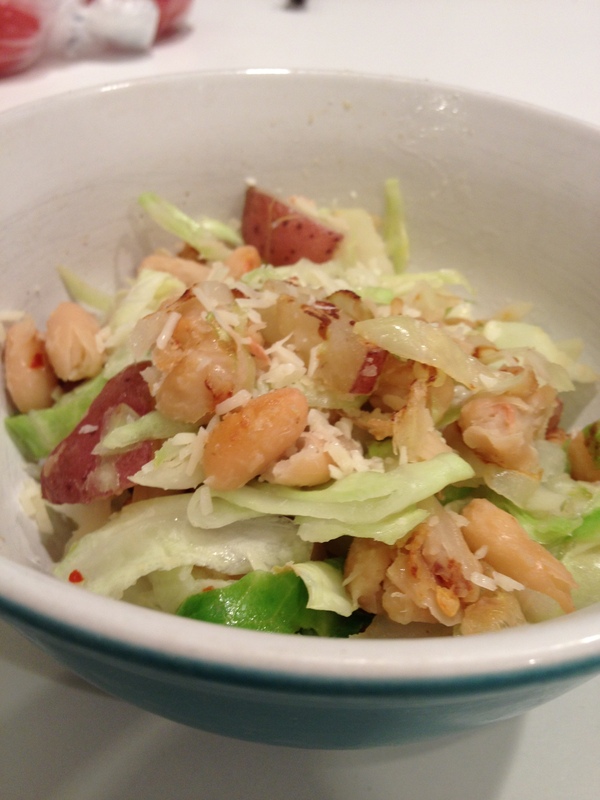 I ended up making the recipe that is on the cover: White Beans & Cabbage. It incorporated, cannelini beans, cabbage, and potatoes. I made enough for leftovers, and let me tell you..it was so yummy that I’m sure it’ll be gone by today! Here is how my version came out. Just looking at this picture makes me drool a bit 🙂 . My favorite part is the crunchiness of the cabbage. mmm yum! Well, it’s time to get the day rolling! I’ve got a big day of textbook shopping (ick), a trader joe’s trip (hooray!) , a massive clean of the house, and a trip to the gym. Happy 2013 everybody and thanks for taking the time to visit my blog! It has been since October since I’ve last blogged and so many events have occurred since then that it is hard to sum it all up! Last time I posted, I was gearing up for my 1st 1/2 marathon. My intention was to recap the entire experience, but when I returned from the race, my mind was full throttle in mid-term week. 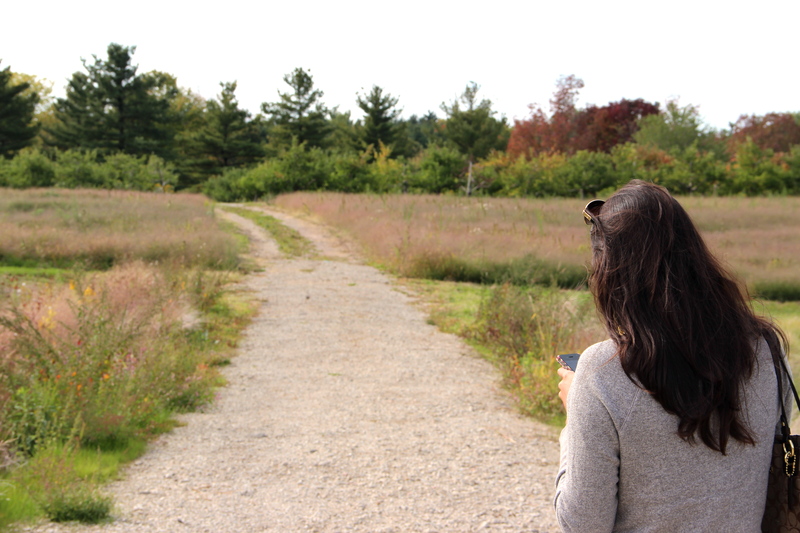 From there, I sadly lost my blogging mojo. I let school & anxiety engulf me for the remaining weeks of the semester. After having a few weeks off from school to reflect and gather my thoughts, I have officially decided to REVIVE my blog! I have truly missed sharing my experiences and connecting with this community. My 1/2 marathon was AMAZING! I ran the Columbus Nationwide 1/2 marathon on October 21, and it was honestly one the best experiences of my life. I felt strong and confident crossing the finish line and was so grateful to have my mom and best friend, Alyssa cheering me on. Pre-Race Picture! It was chilly that morning! Post-Race! Was so happy to have completed the race. Hard work pays off! Since the race, I have decreased my running mileage but have continued to run 1-2 times per week. Although I was busy with school, I made the effort to complete workouts at the gym and at-home dvds! I will however need to jump back on the running train in the next few weeks as I start training for my 2nd 1/2 marathon! I am officially signed up for the Nashville Rock’ n Roll 1/2 marathon on April 27th! My sister and I will be be race companions, and I could not be more excited. It has always been a dream of mine to complete such an accomplishment with my sis by my side! Once again, I have taken a long hiatus from blogging. This seems to be the trend with me lately. I feel like there is a lot to be said, so instead of a lengthy post I decided to update a vlog! Forgive me for the i-phone video camera, baggy eyes, the background vacuum cleaner! As I mentioned in the vlog, my half marathon is next Sunday. It’s hard to believe that after months of training, it is almost here! I feel prepared and ready to run. This week’s workouts will be on the lighter side to save my energy for the race, but I’ll still be running! 12 mile run & Fall Time Fun! Long time no see my friends! I know my blogging has been very inconsistent in the past weeks. School has officially taken over my life! I’m still getting into the groove with all of these new changes, so bear with me on the sporadic posts! I did, however, want to write about my amazing weekend! Let’s talk about Saturday! 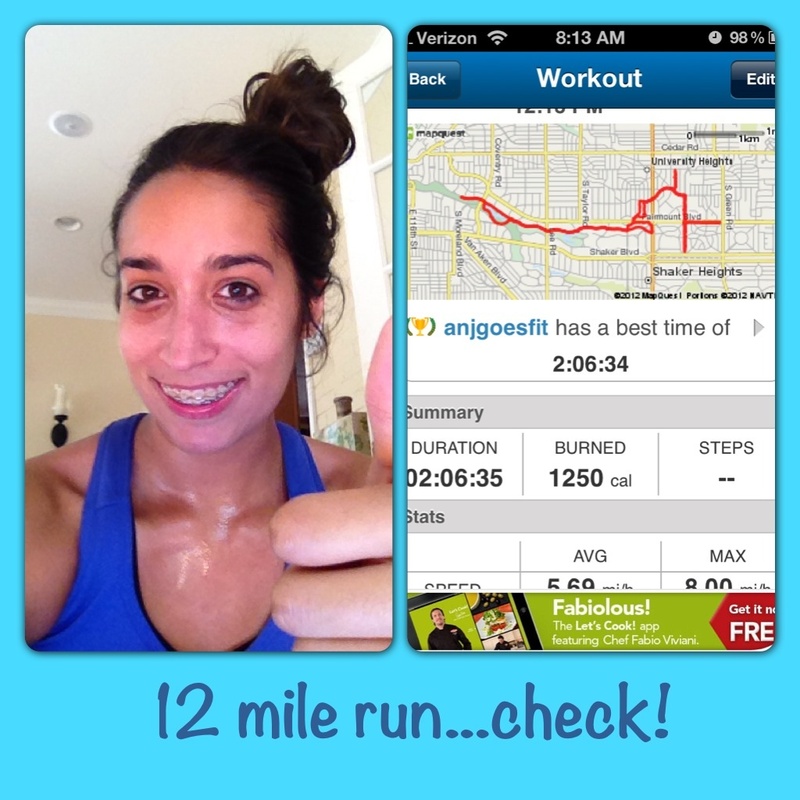 On the schedule for Saturday was a 12 mile run for 1/2 marathon training. Not gonna lie..I was NERVOUS to do this run! First of all, I was nervous because it was the farthest distance I’ve ever run. Second, I was nervous because I was going run alone without the support of my running group. When I left my house, the weather was a perfect 65 degrees. 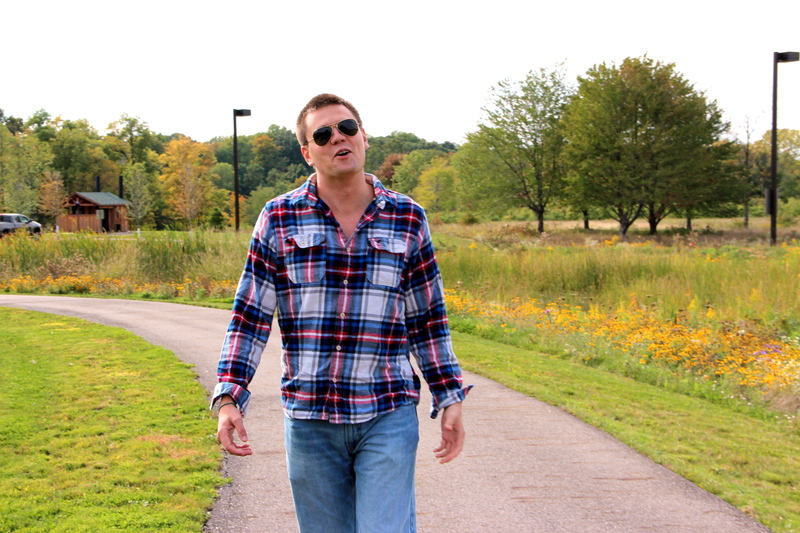 I quickly got into the groove as I ran my favorite path along Shaker Lakes. The scenery and weather were absolutely beautiful. I stopped twice shortly for water and GU. I kicked it into high gear for the last 2 miles and picked up the pace back to home. I was one happy lady when it was all over! 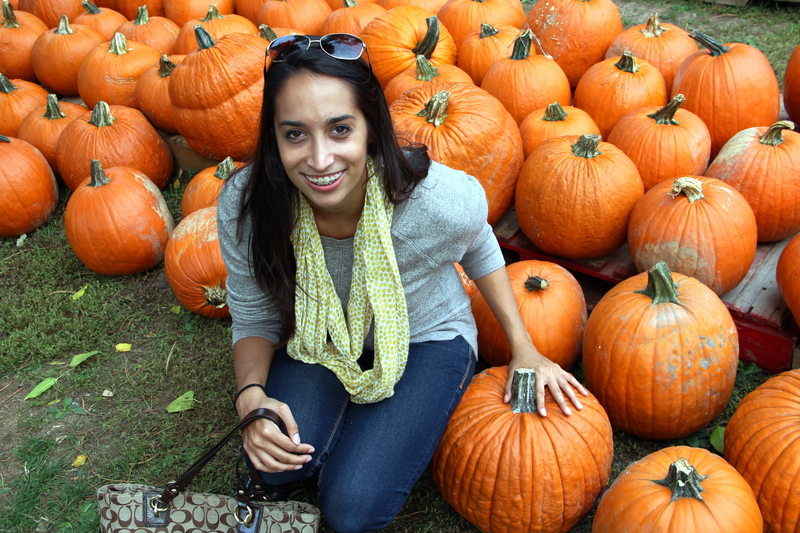 The rest of my Saturday consisted of fall time activities! 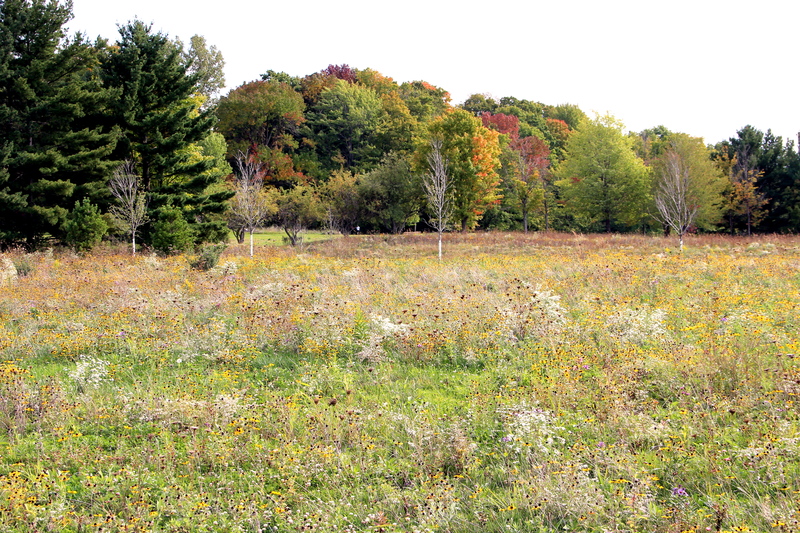 Dave and I went to Patterson’s Fruit Farm in Chesterland. 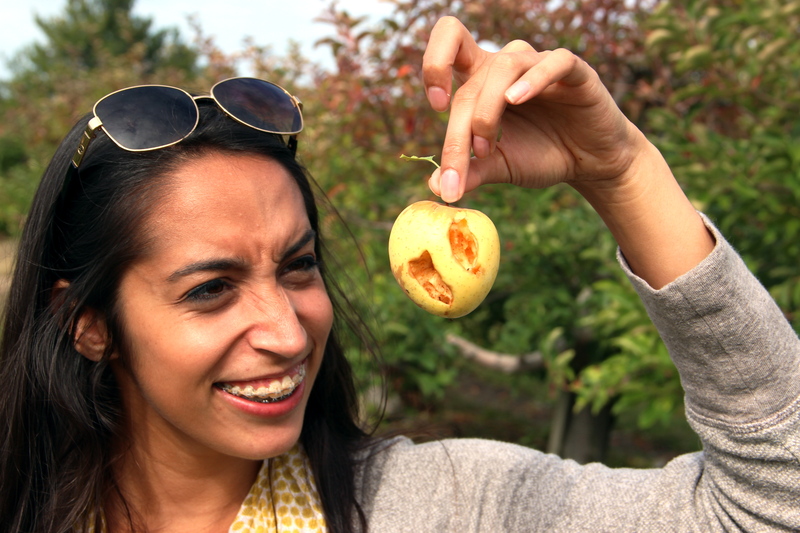 We originally went to pick apples, but apparently apple picking season came and went early! Instead, we strolled around and picked up a bunch of yummy goodies at their market. Here’s a photodump of the day.. This weekend was absolutely amazing. I’m so happy I got to spend quality time with my family and Dave. Hope you all had a great fall weekend! I just woke up from a full 8 hours of sleep and it was glorious. For the past few weeks I’ve been getting six, but last night I made it a priority to get a full 8 hrs. I knew that my body desperately needed shut eye and boy was I right. 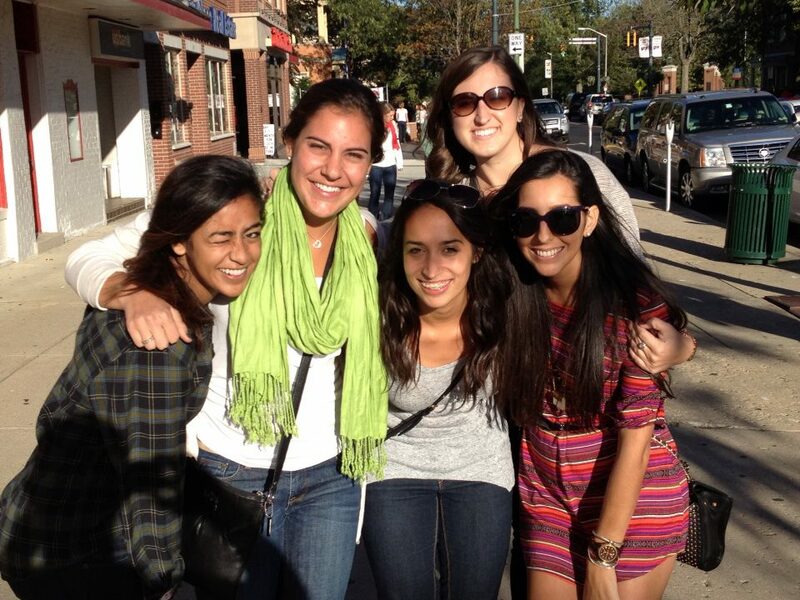 This past weekend, I visited my alma mater, Miami University for some homecoming fun! 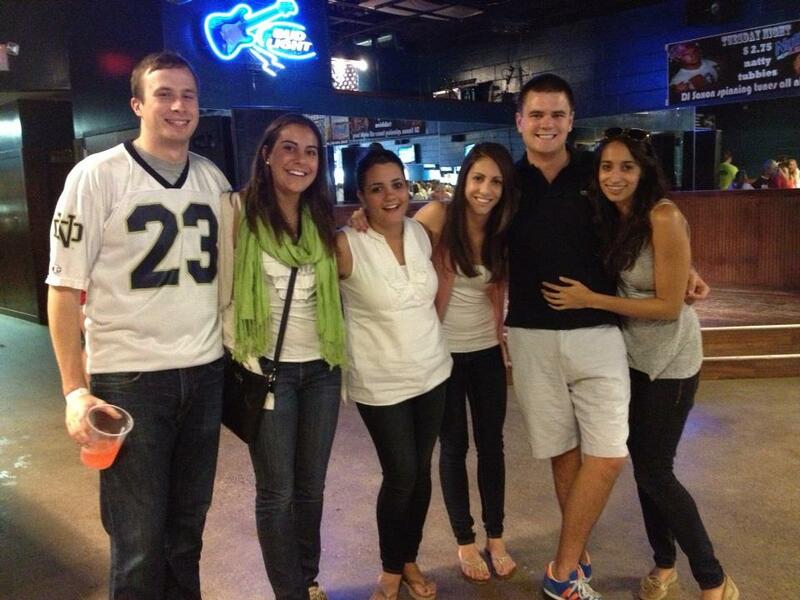 Some of my very best friends AND my boyfriend flew and drove from all over the country to reunite. I was one very happy girl this weekend. Being with my friends and boyfriend gave me instant joy. These individuals hold such a huge place in my heart, and after being separated for months it felt like my heart was full with love again (cheesy I know). After completing my nine mile run on Saturday, I packed up the car and made the hour drive to Miami. Now, I won’t go into full detail about the day..but let’s just say a few cocktails were had 🙂 One thing is for sure..my body cannot handle being a college student anymore! Part of the reason I was so exhausted last night was from the weekend’s activities. Anyways, below are some pictures of me with my favorite people on this planet! I am so blessed that I have such amazing individuals in my life! I’m not sure when I’ll see all of my friends again, but I can’t wait until we are all reunited again. Who in your life brings you instant joy? Hello Friends and Happy Wednesday! 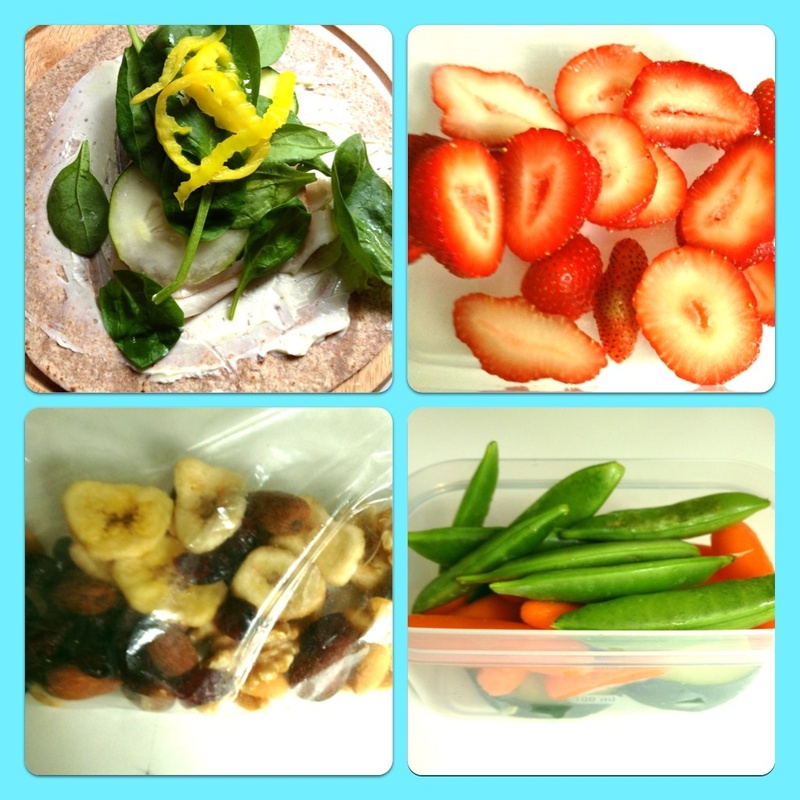 I am so very excited to participate in my first “What I Ate Wednesday” (WIAW) post! WIAW was started by Peas and Crayons and is a fun event where bloggers celebrate the one thing that we ALL love : food! One aspect of WIAW that I love is that it is not meant to brag or inflict guilt on others. Instead, WIAW spreads inspiration and individuality among the blogging community. My intention for participating in WIAW is to share with the blogging community what foods I enjoy and what works for me! This week, I thought I’d share what a typical day of school looks like for me. On Tuesdays, I have classes for 6 and a half hours, which equates to one hungry Anjali! I’ve learned that in order to stay alert during my classes, it is essential that I pack lunch to bring with me! My professors are very tolerant about eating during class. Below is a picture montage of what I brought to school yesterday. 1. Since class started at 12:00, I packed myself a whole wheat turkey wrap for lunch. As a base, I used laughing cow garlic and herb cheese, and topped it off with cucumber, spinach, and banana pepper. The laughing cow really kicks up the wrap another notch. So good! 2. Strawberries. Pretty self explanatory, but the natural sweetness of the strawberries are great at fulfilling my post-lunch sweet tooth. 3. Trail Mix! I have been OBSESSED with trail mix lately. The Nuts about Raspberries & Chocolate Trail Mix from Trader Joes is absolutely amazing! It is consisted of dried raspberries, almonds, dark chocolate nibs, and peanuts. The dark chocolate is to die for! I also threw into the mix some banana chips and craisins. I try to limit the trail mix to 1/4 cup, but it’s literally so addicting. I could munch on it all day! 4. Veggies!! I always pack a tupperware of veggies for school. If it’s in my lunch box ..I’ll eat it. Yesterday’s veggie tupperware consisted of sugar snap peas, baby carrots, and cucumbers. Now, this is not a set in stone list of what I bring to class each day. I love to switch it up whether it be trying a new salad or snack. I’m also always on the prowl for new lunch ideas, so if you have any suggestions, I would love to hear them! 11 miles followed by Pumpkin Oats! I hope you have all enjoyed your weekend! I can’t believe how quickly weekends pass by. I wish I could grasp on to it for a bit longer before monday hits! Yesterday was another long run with my running group. Last week, I ran nine miles on my own, so I planned on just adding another mile this week to make it to 10. However, when I got to my running group meet-up, I quickly learned that the route was an 11 mile route with hills scattered throughout. I was so not thrilled to hear about the hills, especially since I have been struggling with adjusting to Cincinnati’s hilly terrain. We started out our run at 7:10 a.m sharp and off we went! To be honest, completing the 11 miles wasn’t as bad as I thought it would be. Perhaps it’s the support from the running group that motivates me to keep going! If you’re training for a race and are looking for motivation..I highly suggest looking for running groups in your area! Another added perk to joining a group is that you get free swag for signing up! 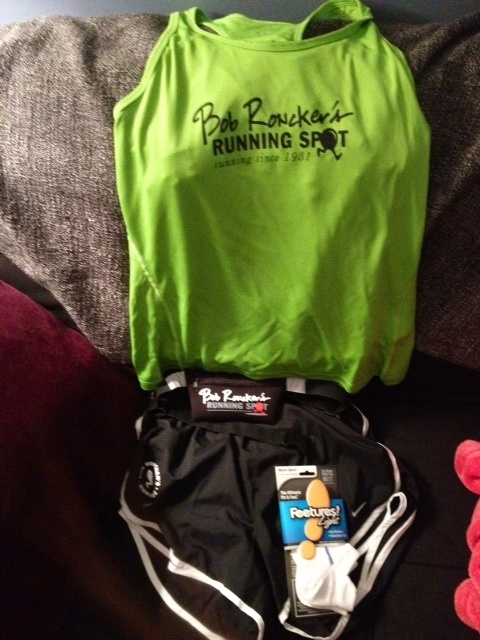 Thank you Bob Roncker’s Running Spot! On the drive home from my run, my tummy started rumbling and grumbling. My body was begging for some major refueling! 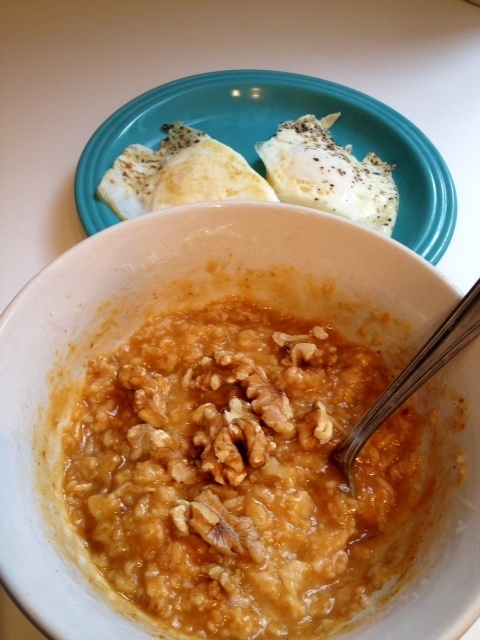 I came home and made two eggs over easy and a big bowl of oats! Since I had leftover pumpkin, I decided to make a new oatmeal concoction! The result was so tasty and filling. After posting this picture on twitter, many of my friends asked me how to make it! Not the prettiest picture, but it was delish! Simply make your oats according to the direcitons, then add 1 tbs of pumpkin, a dash of cinnamon, a dash of pumpkin pie spice, and honey to taste. Top it all off with some walnuts for added texture and yumminess! If you’re at all pumpkin obsessed at the moment like I am, I highly suggest trying this out! Well..it’s back to studying for this girl! I hope you all have a wonderful week!